Holy Cow! I made a card! 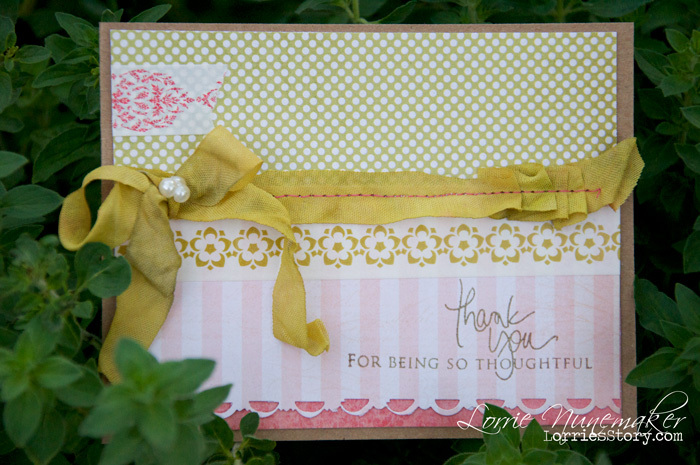 I have gotten away from my favorite part of scrapping and that's cardmaking. First I was in full blown tax season at work and by the time I had downtime, I wanted to sleep. Right after tax season I went on a trip for work, and stopped on my way back to see my brother and his family in California, all the while I've been taking the Art of Observation class with Heidi Swapp, so my spare time has been spent trying to keep up with everything including my Jessica Sprague obligations.... I know you can relate. Today, I took the day off just for some "me" time. The house is quiet, nothing but the soft hum of the dishwasher for noise. I went upstairs planning on straightening my craftroom up and instead I whipped up a card. It felt really good. Sometimes, it's the little things.